Old-style light bulb Kevin seems content with life in a typical suburban house and occasional visits by his long-time companion Frank, the moth. 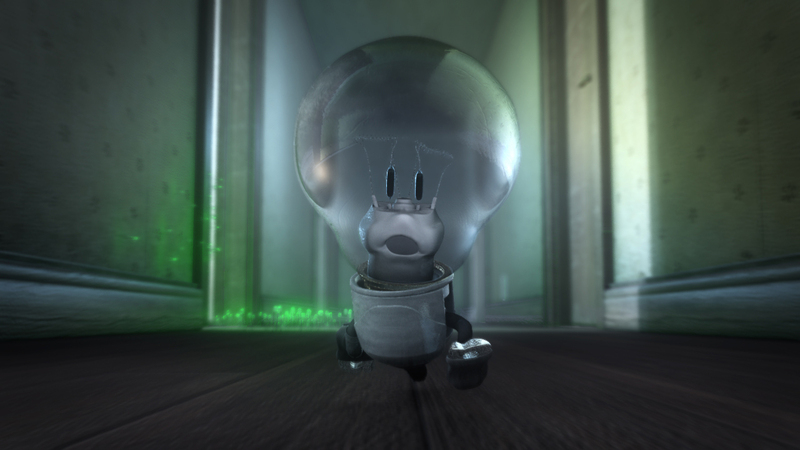 However, threatened by replacement through modern energy-saving bulbs, Kevin sets off to fulfil his dream for a new life. Michael Haas was born in 1981 in Regensburg. He was an apprentice in Digital Media Design from 2003-2006, and started studying Media Design at the Georg-Simon-Ohm University of Applied Sciences in Nuremberg in 2006. His projects include commercials, title designs, the music video CALL ME-MARSMOBIL (2007) and the animated short RUN OUT (DURCHGEBRANNT, co-directed by Thomas Schienagel, 2011). He graduated in 2012.